Posted by Grant Neal on Thursday, September 13, 2018 in Uncategorized. According to Vanderbilt’s Course Availability and Deletion Policy, students maintain access to their courses up to 1 year after the course has ended. 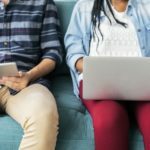 In practice, this policy means that students may find themselves wishing they still had access to a previous course that has been made unavailable. The best way to prevent losing access to course material is to be proactive about saving this material for oneself. If you are a student interested in saving materials from your Brightspace courses for long-term access, there are simple ways to do so. The Content area of each course has a built-in way to download the material that Instructors may have placed there. In the Table of Contents and in each individual module, you will find a large Download button just underneath the module title. You can download all of the material from the Content area using the Download button on the Table of Contents page. If you only want to save material from particular modules, use the Download button on that corresponding module page. If you only want to download one piece of material, click the down arrow next to the title of the item and select Download from the menu. Downloading from the Table of Contents or module page will initiate a zip file download that will contain all of the material from those modules/that module. Here is a step by step guide that you can reference when downloading course material. To save your course grade information, we recommend taking screenshots of your grades on the Class Progress page. 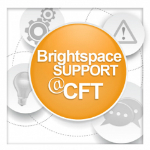 The Brightspace Support team is always happy to assist you. 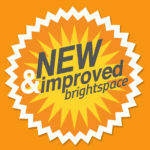 If you need help, do not hesitate to contact us at brightspace@vanderbilt.edu or 615-322-0200. Hello! I am a former student who graduated in Spring 2018- I was wondering if there is a possible way to recover files from coursework taken during Fall 2017 Thanks! If the Vanderbilt policy is to have access for one year from the end the course, I need access tot the Fall 2017 courses. I am unable to access these through my bright space homepage.